Presenting the 2018 Mitsubishi Eclipse Cross at West Side Mitsubishi. Borrowing the legendary Eclipse nameplate Mitsubishi Motors has created the ultimate crossover SUV with the same high-performance capabilities and sporty look of the sports coupe of old. The revolution of the crossover. Behold the glory of the Eclipse! Your first impression will be the sculpted exterior coupe lines blended seamlessly with the robust athleticism of a crossover in this inspired design. Angular chrome accents, muscular flared rear fenders, and a dramatic split rear window and spoiler, are only parts of the picture. 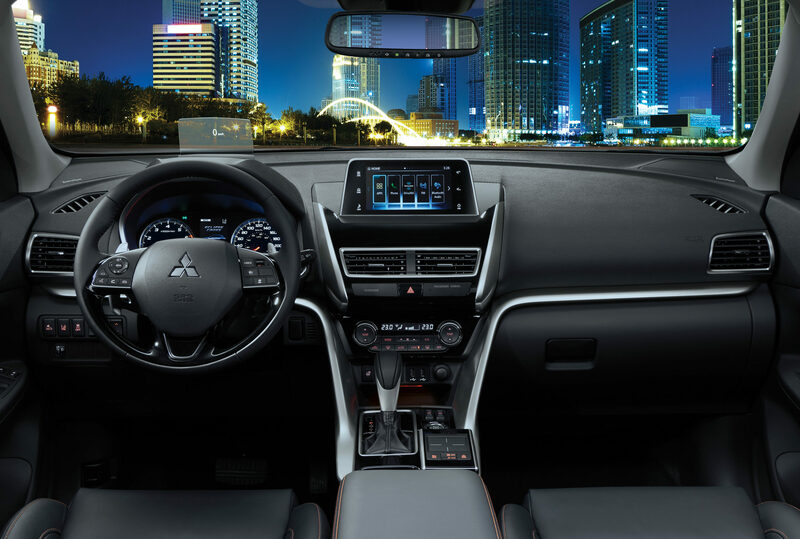 When you combine these features with the futuristic cockpit, use of premium materials, and its luxurious panoramic roof, the transformation to the next generation in Mitsubishi design is complete – this is the SUV equivalent of a sports coupe. You’ve never been so connected. 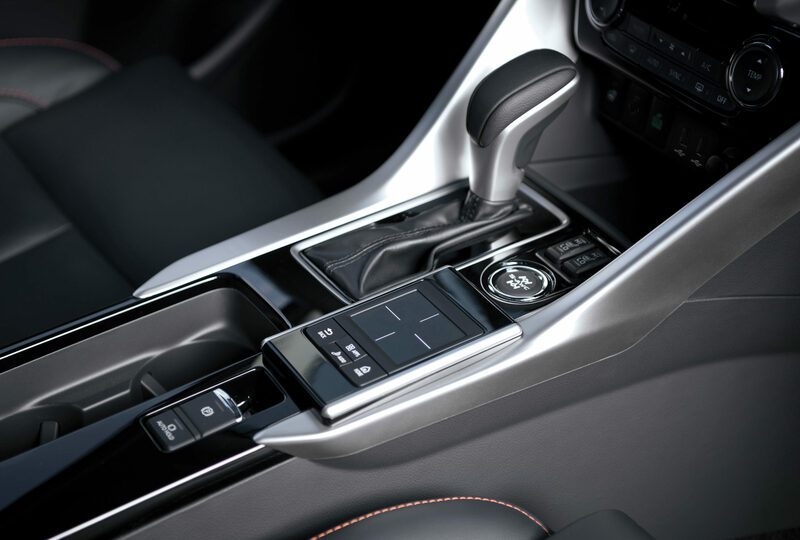 With Smartphone Link Display Audio featuring Android Auto and Apple CarPlay, touchpad controller and other sophisticated technologies like available head-up display, the Eclipse Cross lets you connect with the road while keeping in touch with everyone in your life. Mitsubishi wanted the Eclipse Cross’s value to be as stunning as its looks, so it’s packed with standard features like heated front seats, heated side view mirrors with integrated LED turn signals, a 7.0″ smartphone link with Android Auto and Apple CarPlay, Bluetooth hands-free phone interface, rearview camera, SiriusXM satellite radio with 3 months of complimentary service, and much more. All-wheel-drive with auto/snow/gravel settings, all-season tires, and fog lamps are all standard, as are safety features like Active Stability Control, brake assist, Brake Override System and much more. Stepping up to higher trim levels adds options such as heated rear seats, a panoramic sunroof, Forward Collision Mitigation, adaptive cruise control, and Lane Departure Warning. The Eclipse Cross puts you firmly in control with our Super All-Wheel Control (S-AWC) system. The all-new 1.5L turbocharged 4-cylinder engine gives you the perfect combination of performance and economy, while 18-inch alloy wheels work in unison with S-AWC to give you stable and confident handling while conveying strength and agility. One engine is standard across every trim level of the Eclipse Cross: a turbocharged 1.5L direct-injection four-cylinder that generates 152 hp at 5,500 rpm. It also pumps out a healthy 184 lb-ft of torque for spirited off-the-line performance. This powerplant is mated with a continuously variable transmission (CVT) with an eight-step sport mode and optional paddle shifters for getting the most performance out of the engine. The CVT routes the engine’s power into an all-wheel-drive system with Mitsubishi’s Super All-Wheel Control (S-AWC). This system detects steering angle, brake pressure, wheel speed and many other variables to distribute torque to the wheels that need it most. This gives the driver ultimate control in all driving conditions. Leading edge active and passive safety features. The Eclipse Cross is available with a host of available safety features including Forward Collision Mitigation, Lane Departure Warning, Blind Spot Warning, Rear Cross Traffic Alert, Adaptive Cruise Control, Multi-View Camera System, Automatic High Beams, as well as all of the standard Mitsubishi safety equipment. In addition to the safety technologies described above, the Eclipse Cross comes standard with a seven-airbag system to protect every occupant from front and side impacts. The optional Multi View Camera System gives you a 360-degree view of your surroundings. An available heads-up display puts information like speed and safety warnings directly in the driver’s line of sight so they can be seen without taking your eyes off the road. Book a test drive today!